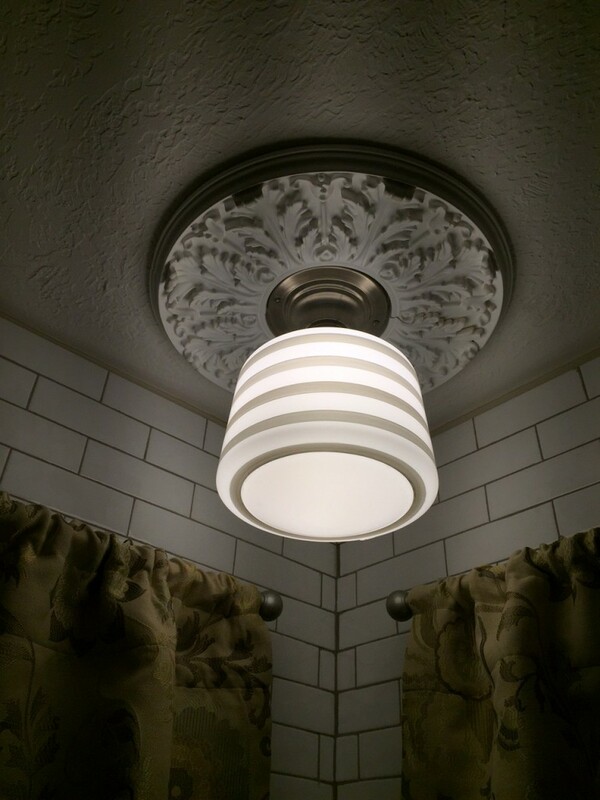 Sue from Cranberry Township, PA sent us this picture of her new Florentine Ceiling Medallion. The medallion goes great with her light fixture and is an excellent accent to the room. If you are interested in purchasing your own medallion check out the link below to explore our wide variety of ceiling medallions. Our medallions are made from urethane for maximum durability and come ready to be ready to be painted. They are also lightweight and easy to install.